Mumbai, April 11 (CRICKETNMORE) Coming in to bat with the score reading 2/56 in the eighth over, Mumbai Indians' acting skipper Kieron Pollard played one of his best knocks in the Indian Premier League as MI chased down Kings XI Punjab's total of 197 to win by three wickets at the Wankhede Stadium. "I would like to thank God. Need to thank him for giving strength to me for doing the things that I do. Also love to thank my wife, it's her birthday today and I want to dedicate this to her," he smiled. 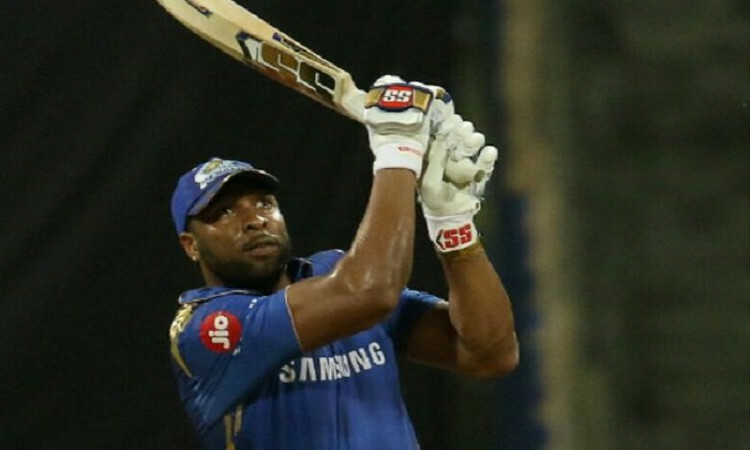 Commenting on the decision to promote himself up the batting order, Pollard said: "I went up the order because I enjoy batting at Wankhede. Plan was to attack Ashwin as spin wasn't doing great. Unfortunately it didn't happen but it was about staying calm." Pollard said that it was a good wicket to bat on and there was no point being critical on the bowlers. "Was a difficult pitch to bowl on and good to bat on, so we did well with the ball after the start they got. We did pull things back in the middle overs a bit but lost the plot at the end. Again, can't be harsh on the bowlers. We finished on the right end of the result and thanks to God for that too," he said. Pollard also made it clear that he had only stepped in as skipper and Rohit is the leader of the team. "Obviously, Rohit is the captain of the team and it was only a precautionary measure for the team. He should be back in the next game. I would gladly give it back to him and field at the boundary, while also thinking of what to contribute to the team," he smiled.